Yes, last night was the live screening of the Benedict CumberHamlet, a show which has been sold out for what seems like several summers. The production opened to a flurry of controversy (or did it? It was reviewed in preview after all). 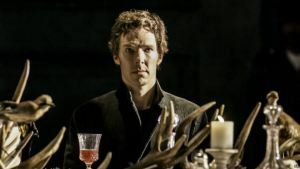 The early decision to open the play with the cast performing ‘to be or not to be’ was criticised at the time and while I don’t object to experimentation, it sounds like it was unlikely to work (even if it was fun when, in the specially prepared live screening preview, Cumberbatch visited a school in which the children performed those famous words in a similar fashion). The Benedict Cumberbatch Hamlet is going to be screened tomorrow (October 15th) at Cinemas in and around Cardiff. It will also be screened at the Paget Rooms, Penarth, on Wednesday Oct 21st, and at Chapter on later dates. 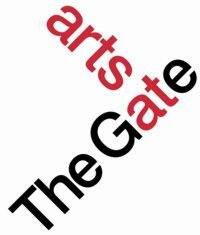 On Friday 2nd October 2015, a more Autumnal evening as opposed to a Midsummer one, twelve Welsh actors from the Pontardawe Arts Centre enthralled the audience of the Wales Millennium Centre with their interpretation of A Midsummer Night’s Dream. Having studied it at school many Midsummer nights ago now, this particular play has always held a special intrigue for me and indeed, it is considered one of Shakespeare’s most popular comedies. With a wonderful plot charting the events of what happens when the human world and fairy world crash into each other in the name of love and jealousy, Shakespeare creates an entertaining fiasco in which the audience can’t help but be swept along! The performance took place in the dance studio just behind the Millennium Centre which is a small venue and therefore instantly creates an intimate space: perfect for conveying magical and ethereal qualities. Audience members ranged from children to adults and there was barely a seat free which meant that this performance could be fully appreciated: I have seen several interpretations of this play but I can honestly say that this is one of the best. The set design was minimal with two curtains of gauze, lit from the back with pale pink and green hues to start; a warmth was created for the court scenes through the use of red and orange, which later became blue and green and served to establish a colder, more eerie feel for the forest and fairy scenes. So often the disturbing qualities of the fairy world are sublimated into the comedy of the overarching theme of misdirection but I appreciated the malevolent spirits that were portrayed in this version and I felt that it captured more of Shakespeare’s original intent. Whilst this can seem a light-hearted play with a happy ending, it is important to remember that it starts with a father who would rather agree to the death of his daughter than see her marry her choice of husband instead of his own, and a fairy King so jealous of a human child that he is willing to punish his wife in a cruel deception for her devotion. A disturbing patriarchy is at work here and the female characters are considered mere possessions, mocked, spurned and humiliated even to the point where they debase themselves! Chaos ensues as a result of mischievous, interfering fairies and even the resolution of the play is contrived through the use of potions, even if they are restoratives and the couples are in the “correct” pairs. Of course, there is humour to be derived from these situations too and Shakespeare’s witty lines were delivered with great comic timing but the actors also managed to maintain the desperation and misery that belies the surface entertainment. This is a tricky thing to convey and this is why I felt this production had more to offer than most. Without having read the programme, throughout the performance, I jotted down the notes “accessible” and “excellently paced” which, as it turns out, were particular points which the company wished to emphasise in their interpretation. The lack of an interval also meant that the pace was able to build naturally and the tension to be carried through without interruption, which made for a more concentrated time span and thus a more intense performance. The cast conveyed emotion extremely convincingly through precise delivery of language which helped with understanding and drew out the humour of the lines. The cast doubled up on several characters (which is frequently the case) and I found that this worked well as it reinforced the parallels between the court and fairy world and emphasised how certain themes and characteristics are inherent in us all. Michelle McTernan (Titania/ Hippolyta) and Huw Novelli (Oberon/ Theseus) played the tensions present in both the courtly couple and the fairy couple very convincingly; this was perhaps particularly evident in the exchange over the Changeling Boy where it really did seem like a genuine domestic disagreement and struggle for power to be right. Helena (Alice White) managed to make her lines humorous but always kept a sense of the despair of her situation. She also used the stage space well as she pursued Demetrius (Jason Marc-Williams) and literally threw herself after him at points. Movement was also key in this production with Puck’s (Louise Collins) motions deliberate and almost dance-like which contrasted with the sashaying of Titania and Oberon and the chaotic running of the Athenian couples. Puck would often crouch down and work on lower levels which emphasised the notion of mischievous nature at work. After Titania had been put to sleep, she remained on stage, covered by a green blanket, which blends into the idea of the forest and then the Athenians enter: the exchange between Hermia (Sophie Hughes) and Lysander (Rhys Warrington) is comical and the sexual tension played out against her virtue is evident. It is also a good way of showing how the human and fairy world converge as Titania remains present on stage throughout. The Mechanicals also enter this space so we have yet another layer intertwining which results in Titania falling in love with Bottom (Kevin Johns). Titania’s passion is well acted and her lust is comical especially when accompanied by a lot of braying from Bottom! The boyish bravado exhibited by Lysander and Demetrius when vying for Helena’s attention is extremely well played through the use of over-exaggerated theatrical movements such as preening and flexing muscles, pushing in front of each other, taking off jackets and trying to kiss her hand, and make for an amusing spectacle. When Hermia launches herself at Helena in a bid to scratch out her eyes, she is caught by the men and this also becomes a source of humour as she struggles to reach her quarry. The small nuances such as Titania jiggling Bottom’s stomach and him twitching his legs in excitement while he is laid next to her were great touches which served to add a reality to something so dream-like and was a nice addition to characterisation. The overlapping of the worlds continued by having the robed sprites come into the audience which was quite unsettling. Then, later, during the Mechanicals’ play, the couples also sat on the steps by the audience which enhanced the levels of intimacy and involved the audience directly, uniting us in the spectacle. The Mechanicals are stereotyped as simple bumpkins and the heavy Welsh accents served to emphasise the humour in their lines with audience members laughing out loud at several points. The use of basic props such as a ladder, hamper and stool were put to good use and helped to draw out a more physical humour with the ladder being dropped on each other and later Puck climbs it and leans of Starveling (Douglas Grey) who is completely oblivious; this is a wonderful visual representation of the convergence of the two worlds. I feel a special mention should go to Sam Harding who played Flute/Thisbe: as one of the smaller roles of the Mechanicals, it is hard to make a presence when having to act next to Bottom but I felt he truly managed to bring out all of the humour possible in this role. With a risqué, low cut dress, a wonderful yellow wig arranged in pigtails and deliberate bad-acting in a high pitched voice, as well as looking awkward through over-acting physical stances, I felt that Thisbe really came alive! Bottom’s chuckles were infectious and had the audience in hysterics. James Scannell also made a marvellous Snout/Lion/Wall and managed to make such a minimal part something memorable. Also, having heard the phrase “Thanks, lovely wall” in a very heavy Welsh accent, the line will never quite be the same for me again! While there was the potential for the Mechanicals’ play to descend into something like a pantomime it continued to be well controlled and this made the overall effect a more believable one as it seemed like the Mechanicals genuinely cared about their production and that, as an audience, we weren’t just watching actors aware that they are playing wannabe actors. The costumes were in keeping with traditional Elizabethan costuming and served to place the play in time. Often, in a bid to make it more accessible to a modern audience, companies will update to the extreme and lose inherent meaning – they could learn a lot from the Pontardawe Company who were not afraid to retain Shakespeare’s conventions. Reds and golds were used to represent the grandeur of Theseus and Hippolyta; blues and greens were used to clothe Oberon and Titania who also wore wreaths of peacock feathers as crowns which combined a regal arrogance with the natural world well; Puck was dressed in browns and greens to symbolise the natural world, down to an orangey hat which was reminiscent of an acorn; the other sprites were dressed in hooded robes which gave them a disturbing quality as opposed to the playful imps that are frequently portrayed in productions; the Athenian men were similarly clad in breeches and jackets but in opposite colour, Lysander in red and Demetrius in darker blue-black, which was useful in distinguishing them; the women had dresses with flowery patterns which helped to maintain the links with the natural world throughout and, at the end, they each wore a garland of white flowers in their hair after their marriages, which also reminded the audience of the fact that the juice of a flower was responsible for events; the Mechanicals were dressed in brown leathers and represented the working class well with Quince (Chris Morgan) dressed in black and white with a mortar board to give him an air of authority. Music also added to the atmosphere by incorporating whispering sounds which helped to depict a more sinister aspect to the fairy world and establish an ethereal quality. The cast then came together for the finale in which they danced to a traditional tune. There is a reason why A Midsummer Night’s Dream is one of the most popular and oft performed of Shakespeare’s comic plays. It is brimful of fun; lovers galore, interwoven plots and endless twists and turns as mischievous and conspiring fairies lead us on a merry dance through the forest. It is a quite fantastical piece exploring love, obsession and jealousy and set in a mysterious magical world in which anything can happen. A superb play for the uninitiated and equally for the Shakespeare enthusiast. 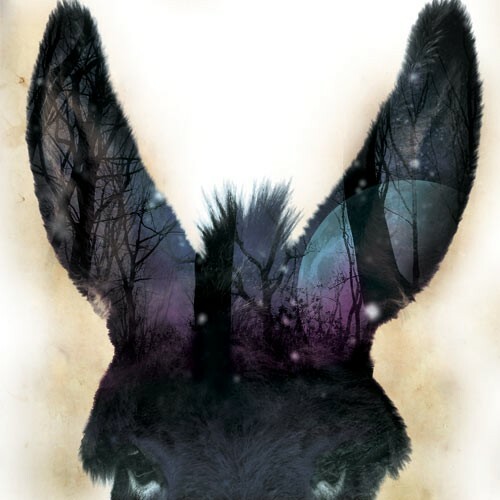 Don’t miss out on this opportunity to experience the thrill of Shakespeare’s words as a superb cast of twelve of the finest Welsh actors take us into the forest for the mayhem to commence. You are currently browsing the Cardiff Shakespeare blog archives for October, 2015.